GuildQuality 2018 Guildmaster Award: Structures Building Company recognized among the top customer service leaders in the residential construction industry! Structures Building company received a 2018 Guildmaster Award from GuildQuality for demonstrating exceptional customer service within the residential construction industry. 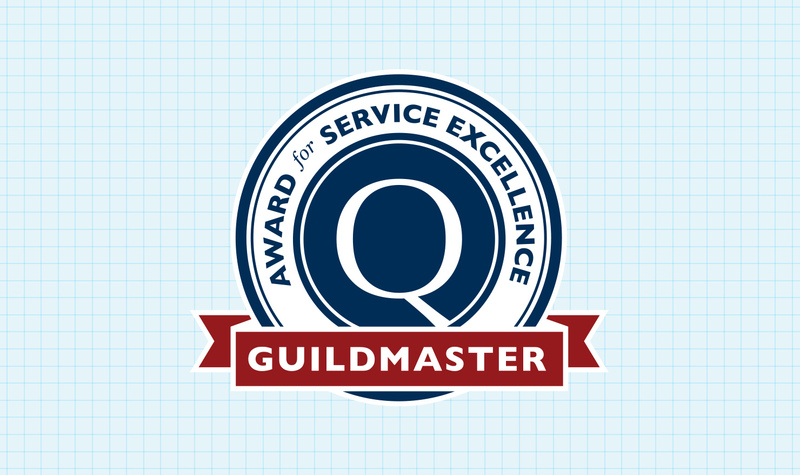 Since 2005, GuildQuality, an Atlanta-based third-party customer satisfaction software surveying company, has powered the Guildmaster Award to recognize and celebrate home building, remodeling, and contracting professionals demonstrating the highest level of customer service within the U.S. and Canada. Out of more than 600 eligible applicants, Structures Building Company is one of the 300 businesses within the residential construction industry recognized by GuildQuality for consistently delivering superior customer care. In determining which businesses received the 2018 Guildmaster Award, GuildQuality reviewed thousands of survey responses submitted by customers of Guildmaster candidates, and considered two primary metrics for each candidate: the percentage of customers stating they would recommend the business to a friend, and the percentage of customers who responded. Structures achieved a recommendation rate of 90% or above from their customers surveyed by GuildQuality.